In this case, when have an illegal alien who had been arrested for DUI three times. He was slated to be deported, but was, under Obama’s immigration rules, allowed to post bail and of course he never showed up to be deported. The last time he drove drunk, he killed an American citizen, who was cycling in Scott County, Kentucky. Here illegally, no drivers license, three previous DUI’s, not deported because of Obama, and he ends up killing an American citizen. If in anyway you defend illegal immigration after reading this, you are an enemy of the United States of America, and a mental defective. The driver charged with murder in the death of a Lexington bicyclist was arrested at least three previous times on drunken-driving charges and is the subject of deportation proceedings, according to court records. Odilon Paz-Salvador, 29, who is from Mexico, allegedly struck Mark Hinkel, 57, on Saturday during the Horsey Hundred cycling event in Scott County. Paz-Salvador drove three miles after Hinkel landed in the bed of Paz-Salvador’s truck before Georgetown police stopped him, police said. Among the charges against Paz-Salvador is aggravated driving under the influence, making this his fourth aggravated DUI charge in five years. 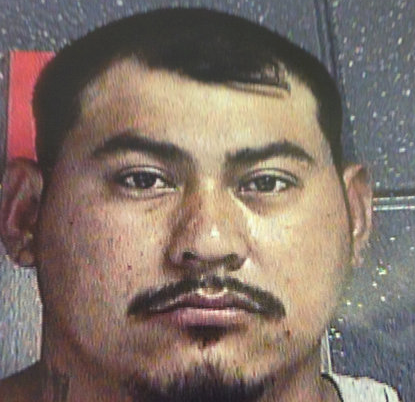 There is no record of a Kentucky driver’s license for Odilon Paz-Salvador, said Ann Stansel, records custodian for the Kentucky Transportation Cabinet. “Our records are destroyed after a period of five years, so we do not have historical information to determine if there has been a license issued to him in the past,” Stansel said. ■ Was arrested in Georgetown in July 2010. He also was charged with driving without a license. Arresting officer Gary W. Crump II saw Paz-Salvador getting out of the driver’s seat of a vehicle, according to Scott County documents. “The offender was unsteady on his feet, had bloodshot eyes, smelled of alcohol and had urinated on himself,” Crump said. Paz-Salvador had drunk 12 beers and had an alcohol level of 0.324, according to Crump’s report. Kentucky’s blood-alcohol limit is 0.08. The 2010 charges were amended to alcohol intoxication, a lesser charge, because Paz-Salvador was not proved to be the driver of the car, according to Scott County documents. ■ Was arrested again by Georgetown police in April 2011 and charged with driving under the influence and disregarding a stop sign, according to Scott County documents. Paz-Salvador told officer Ben Jones he had drunk 12 beers. His alcohol level was 0.184, Jones said in his report. Paz-Salvador also had eight open cans of Bud Light beer, Jones said. Paz-Salvador pleaded guilty to aggravated DUI. ■ Was arrested by Lexington police in June 2013 on charges of careless driving, possession of open alcoholic beverages, driving under the influence and driving without a license, according to Fayette County documents. Paz-Salvador pleaded guilty, making it his second conviction on an aggravated DUI charge, according to the documents. Paz-Salvador was then turned over to U.S. Immigration and Customs Enforcement and placed into removal proceedings, Immigrations spokeswoman Gail Montenegro said Wednesday. But Paz-Salvador was released eight days later after posting bond, Montenegro said.